I have extensive experience managing all aspects of large-scale events. I am the central organizer for the Cancer Center's Gala at The Greenbrier which brings in thousands of dollars in revenue each year. I am responsible for all aspects including sponsorship, programming, printed materials, event execution, donor relations and much more. The 2015 Gala is particularly exciting and challenging to organize due to a partnership with WVU Athletics/Mountaineer Athletic Club. Please click on the logo above to view an electronic version of the invitation which contains a schedule of events. I thought that the Bonnie Wells Wilson Mobile Mammography Program (Bonnie's Bus) really needed a signature event to not only raise much needed funds, but also awareness. 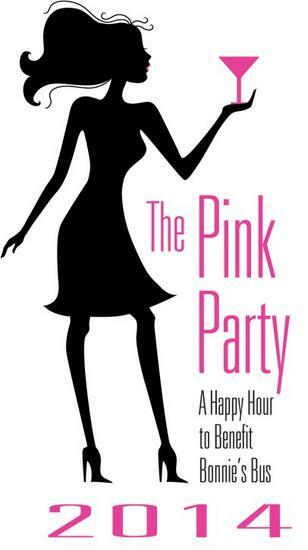 I was able to leverage an existing relationship with a donor to create The Pink Party: A Happy Hour to Benefit Bonnie's Bus which was held at Bartini in August 2014. Along with raising approximately $30K, this event helped cultivate new donors to the Cancer Center as well as steward long-time supporters of the program. I was responsible for coordinating most aspects of the event including sponsorships, entertainment, silent auctions, ticketing and overall event execution. Click on the logo above to read a story about the event from our donor newsletter. Additional details can be found at http://goo.gl/RZuyjO. The 2014 Gala was my first time coordinating this large-scale fundraising event at The Greenbrier. I was responsible for all aspects of the event from planning to execution. In addition, I coordinated sponsorships and donor meetings. Click on the picture above to view the program which contains the schedule of events. 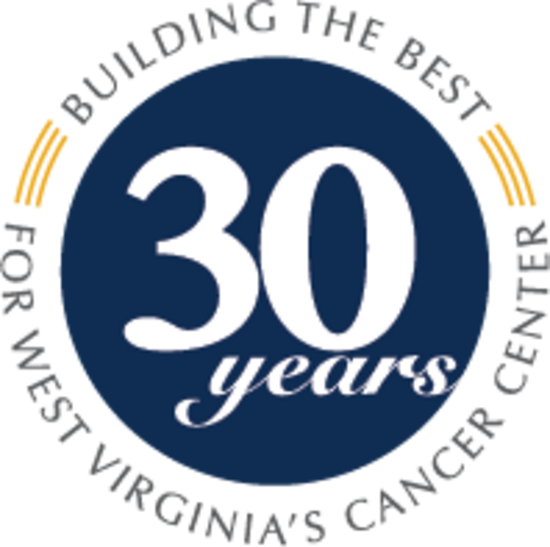 An important focus during my time at the Cancer Center has been rebuilding the annual giving program. 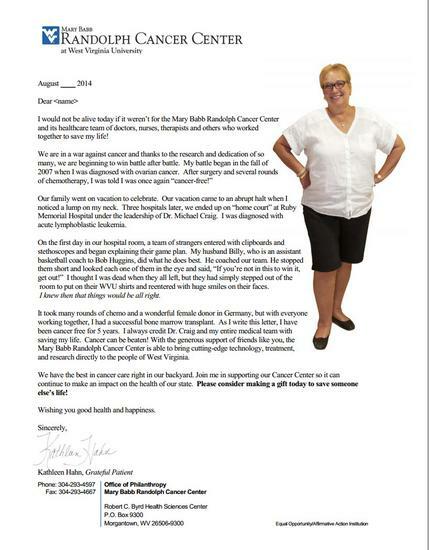 I coordinated the Cancer Center's 1st annual fund mailing in over 2 years in August of 2014. What made this mailing particularly interesting is that it was specifically sent to 2013 Cancer Center patients as part of our Grateful Patient initiative. To build on this, we had the letter come from a grateful patient. We had a good response and will use this as a benchmark going forward. 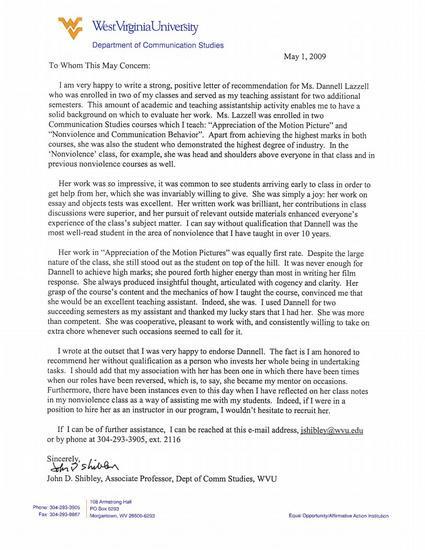 Click on the image above to view the final version of the letter. As a way to unite grassroots support for Bonnie's Bus, I spearheaded the creation of Sponsor A Day on Bonnie's Bus. This included the creation of the program structure, logo, brochure and website. In its first year, the program raised approximately $20K. Click on the logo above to view the brochure. Additional information can be found at http://goo.gl/37XzBj. As a way to consistently reach out to our donors, I developed the MBRCC Insider in January 2014. This bimonthly e-newsletter focuses on a specific program or area within the Cancer Center and ends with a soft-ask of continued support. Click on the image above to view the September 2014 edition. 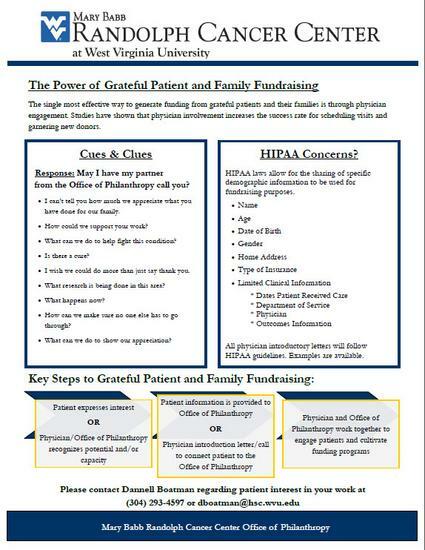 I am fortunate to be a part of a central group of Health Sciences Center fundraisers tasked with building an enhanced Grateful Patient Program. Our Cancer Center Director wanted to build a comprehensive Grateful Patient Program which included a strong annual giving component along with the focus on major gifts. I led the efforts to create an annual giving program structure, logo, brochure and clinic posters. Click the logo above to view the brochure. 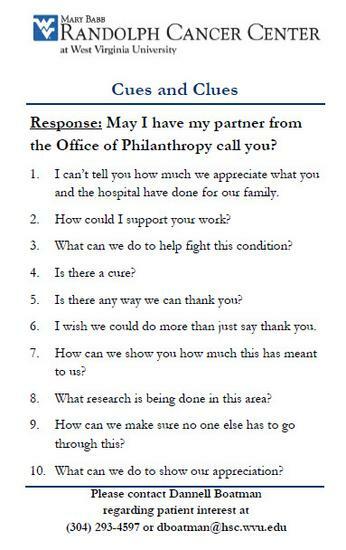 In collaboration with cancer center development officers from across the country, I developed a customized 'philanthropy toolkit' to educate faculty and staff on the giving process. The packets seemed to be well-received when I presented to faculty and staff in 4-5 meetings in 2014. Click on the image above to view the informational sheet I developed. In collaboration with cancer center development officers from across the country, I developed a customized 'philanthropy toolkit' to educate faculty and staff on the giving process. The packets seemed to be well-received when I presented to faculty and staff in 4-5 meetings in 2014. Click on the image above to view the cues and clues card I developed. I have extensive experience writing, editing and managing communication pieces, especially newsletters. As supervisor to the Cancer Center's Public Relations Manager, I control content related to our quarterly donor newsletter. In addition, I often write stories related to donors and/or giving that are included. Click on the image above to view the October 2014 donor newsletter. As supervisor to the Cancer Center's Public Relations Manager, I control content related to our quarterly donor newsletter. In addition, I often write stories related to donors and/or giving that are included. 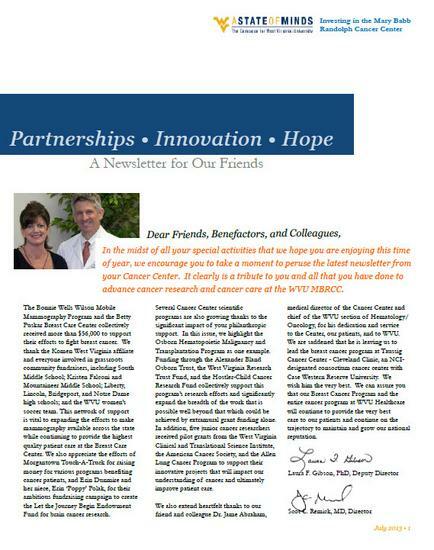 Click on the image above to view the July 2013 donor newsletter. 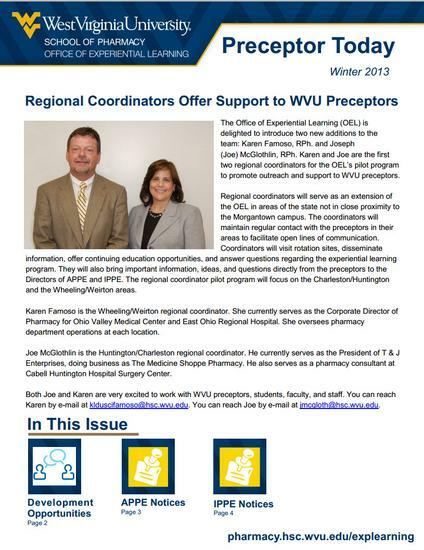 While with the West Virginia University School of Pharmacy's Office of Experiential Learning, I managed all aspects of the development of the quarterly preceptor newsletter. Click on the image above to view the February 2013 preceptor newsletter. 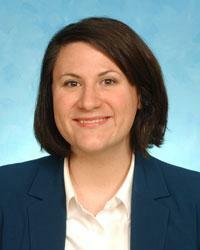 I wrote an article on two new employees for the West Virginia University School of Pharmacy Alumni Magazine in Fall 2012 edition. Click on the image above to view the article. 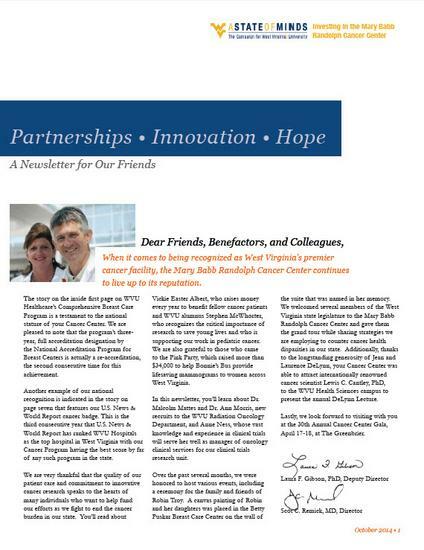 While with the West Virginia University School of Pharmacy's Office of Experiential Learning, I managed all aspects of the development of the quarterly preceptor newsletter. 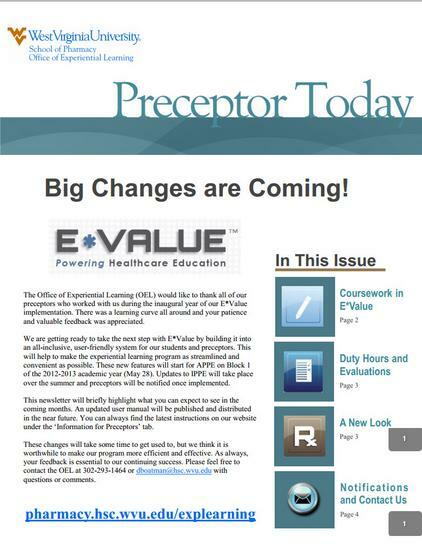 Click on the image above to view the May 2012 preceptor newsletter. 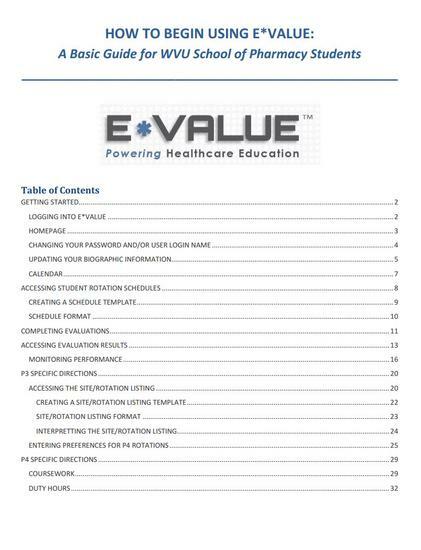 As Program Specialist in the School of Pharmacy, I was administrator of the online information management system called E*Value. This system contains all activities and information related to the experiential learning program. When I first began, no one knew how to use this new system. It was my job to completely learn E*Value, decide what was relevant for different groups of users, write and design user manuals, and then distribute. I regularly maintained the manuals to make sure they were still relevant and useful to our users. Click on the image above to view one manual I authored. Dr. Shibley was my professor in 2 classes as an undergraduate student at West Virginia University. In addition, I served as his teaching assistant for 2 semesters. He can attest to my work ethic and quality of work. Click on the image above to read this letter.